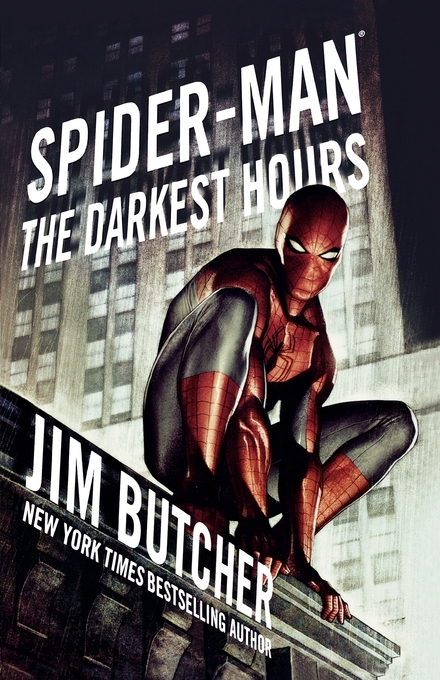 A stunningly packaged trade paperback reissue of Pocket Books’ original Spider-Man novel—from New York Times bestselling author Jim Butcher. Peter Parker’s life has hit a peaceful stretch. No evildoers have tried to flatten him in weeks, his marriage to Mary Jane is stronger than ever, and he’s enjoying his job as a high school science teacher. Life is good. But, naturally, that doesn’t last. When Peter learns that his old enemy the Rhino is on a rampage in Times Square, he suits up as Spider-Man to stop the destructive villain in his tracks. But he’s unexpectedly foiled by the Black Cat, a former ally and old flame. The Cat informs Peter that the Rhino is just a distraction—the real threat comes from a group of Ancients, members of the same race as the being called Morlun, who Spidey defeated in battle years earlier. The Ancients are now looking to exact revenge—and hope to steal Spider-Man’s life force in the process.